Afraid to admit a lot of things can go wrong. People do not want to feel threatened and may get turned off the idea if it is too fear inducing. It gets more complicated when someone in the family is concerned about getting prepared, but does not get support, or just outright hostility from their partner or other family members. What do you do when you want to prepare but your partner does not? Do it anyway, but use a different approach that makes it more acceptable. First, let’s look at what NOT to do: Do not try to get preachy or argumentative about preparedness. If they are already resistant to the idea, getting into an argument isn’t going to change their mind. Convenience: If you have supplies, you do not have to be constantly running to the store to restock. Every new parent knows panic when their baby runs out of formula late at night and they have not gone to the store. That is something to avoid. Even running out of everyday items such as sugar or toilet paper is a big pain if you have to drop everything and go to the grocery store for one item because you left it out of your list one day. Cost-Cutting: You can start your stockpile without raising a lot of eyebrows by using frugal techniques that help your household save money. Start using coupons and taking advantage of “buy one get one free” offers. When questioned about buying multiples of one item such as canned fruit or granola bars, emphasize what a great deal you got so you stocked up. If you feel strongly about becoming prepared and getting some degree of security for your family, it is important that you get started. Don’t alienate your significant other in the process; instead, frame your activities in a common sense, practical light. 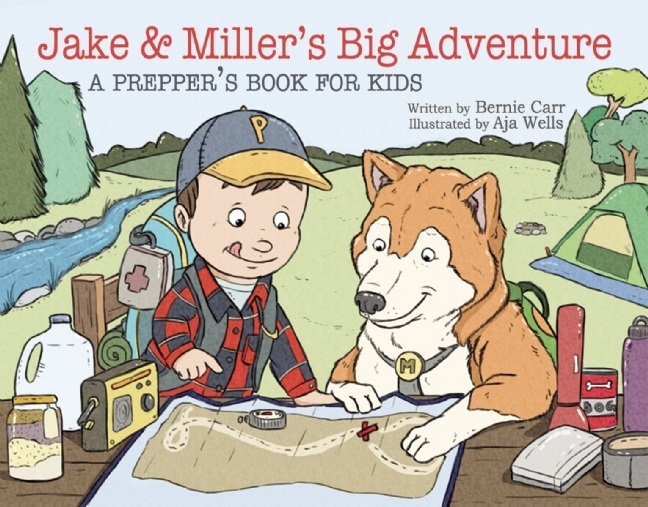 Encouraging a non-Prepper to take up a useful hobby learning survival skills (such as camping, outdoor cooking, fishing, gardening) is undoubtedly the best – and the sneakiest – way to convince a spouse, partner or loved one to get with the program. In my case, I was blessed in that Survival Husband was onboard from the beginning. I wish that I could turn the mindset of my friends in the city a bit more toward beginning prepared. Alas, most would rather go out to a fancy restaurant or hit the mall than to take up a hobby that will serve them well in an emergency. Most of our friends and family do not engage in prep activities, other than the usual 3-5 days worth of food. I wish they would put more effort into it but they are not in the mindset yet. All very good suggestions. And, yes, it is a shame most people won’t bother to prepare whatsoever. My wife didn’t need any urging. She was raised in Africa, in Nigeria and Niger, as a missionaries kid. They were out in the bush, and got supplies in by Land Rover ever so often. Storing up for a long dry spell if the vehicle didn’t show was second nature to her. I was less enthusiastic until we got caught in a blizzard our second year in the mountains. We were snowed in for almost two weeks. I learned how much I didn’t know then. The experience made a believer out of me. 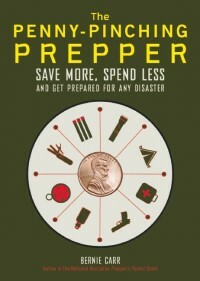 You are fortunate you and your wife see eye to eye on prepping. I am glad my husband and I agree-it would make it a lot harder with only one partner on board with it. it is so hard to get my family ready but they dont take me seriously. they go back to their sheeple lives and call me a survivalist because im the one with a flashlight when the power goes out. yeah it gets annoying but at least your prepared! Yes, it is difficult to be the only one preparing, but you will regret it if you don’t. When those supplies come in handy your family will appreciate your efforts. For now it is a thankless job but worthwhile. Thanks for the comment! No problem; you have a great website by the way! Plus theroadwarri0r sent me to your site.